It is a strange thing when you can wake up, take a shower, pray a little just like any other day and not even know that this particular day will not be like any other. This day will be marked with sorrow. I was in Disneyland, my favorite place in the world, when I received the news that my mom had suddenly passed away from a heart attack in our home in Seattle. She was 58 I was only 23. I ran into the bathroom, with my friend following close behind, and threw up in the toilet. It was my physical response to the terrifying news. This was the beginning of my new world one that I would need to learn to navigate. Have you ever been taught not to live by your emotions? It is an extremely important lesson to learn but almost impossible when you are going through mourning. All I wanted was someone to give me ten steps on how to get through this heartache. I wanted an exact list of what I was going to go through and how long it would take. 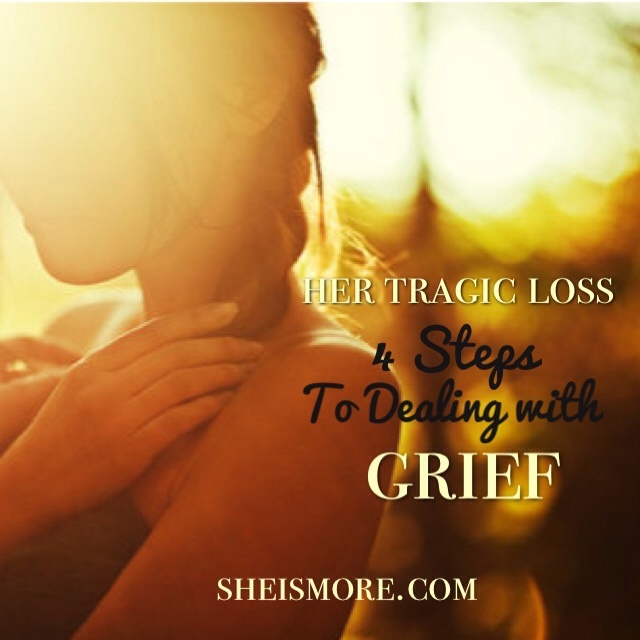 However, although there are similarities, there is no cookie cutter way to walk through the process of grief. On the Fourth of July after my mom passed I had an extreme melt down. There were six months of bottled up emotion in me that was waiting to explode just like the fireworks that night. My boyfriend Andy (and now husband) and I had a great day hanging out with friends, swimming in the lake and enjoying each other’s company. While watching the fireworks my mind drifted to my mom and what was supposed to be a romantic moment turned into an explosive overflow of emotions. Andy put forward his best effort attempting to get me to express how I was feeling. I just stared silently in the opposite direction with my body turned completely away from him crying uncontrollably but not able to vocalize my pain, nor did I want to. I had built walls around myself making it hard to get through to the heart of my outbursts. This was the first of many explosive reactions that came out of nowhere through my grieving process. If you are going through something and feel like you are crazy, you aren’t, you are just grieving. 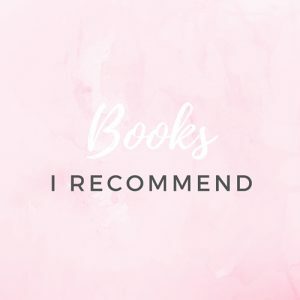 It wasn’t until my mother-in-law who is a counselor showed me a page in the book Grieving for Dummies (By: Greg Harvey) titled “The Mourner’s Bill of Rights” that I began to let go and process through my pain. It was seemingly simple and yet complex to digest. I felt liberated and thought, “You mean it’s okay that I am feeling this way? 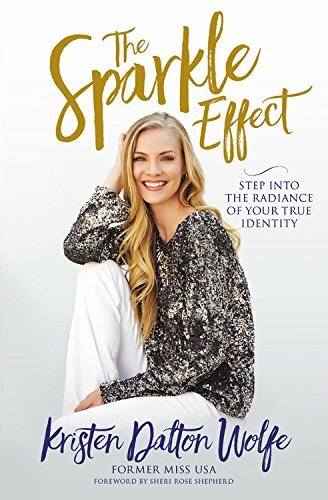 I decided to write out my experiences and with every word I was a step closer to emotional health. 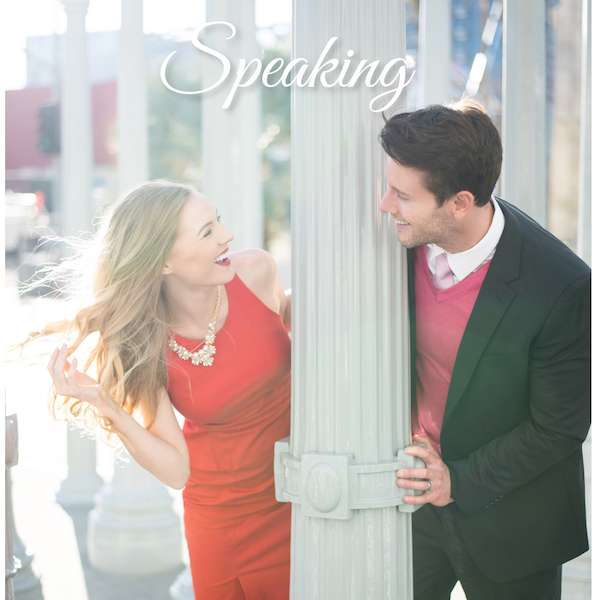 I began to talk through what I was feeling as I was feeling it. On the fifth anniversary of my mom’s passing I began to write the last chapter in what became a book about my grieving experience. It was as though the fog lifted and now two years later I can tell you that when I think of my mom I smile. I can share memories and look at pictures again. 1) It is absolutely ok not to be ok. Do not feel guilty or ashamed to be feeling the way you are feeling. You just went through a life changing experience and if you did not feel different you would not be normal. Expectations of yourself and others can only make the process worse. If you expect too much out of yourself you will only be disappointed. I tried to stay strong because that is what I thought everyone around me expected. This self-imposed belief made me invulnerable and I could not vocalize my pain with people. Having hopes of others being there for you in certain ways will also lead to frustration. No one knows what we are going through unless we tell them. So allow for silly comments and for people to not always text. Give yourself and others around you grace. 3) Letting go of regret brings peace to your heart. Our minds run wild with regret. It is never healthy to play around with the “what if’s.” It is important to be at peace with the decisions and events that had gone on or you can torture yourself with regret. Your loved one is no longer feeling hurt or worry of any kind so let’s let go to the best of our ability and remember the happy times. 4) We need to talk it out. Do not allow your emotions like bitterness, depression and anger to be bottled up and manifest in unhealthy ways — let it out. Never be ashamed to call someone up and say, “I need to talk.” Often we do not realize that it takes a lot of time to get better. People may stop asking how we are after a while but it tends to gets worse before it gets better. Whether it has been three months or three years you still need to phone a friend. People often ask where is God when bad things happen? 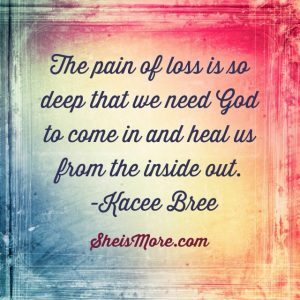 No matter what our beliefs, grief is a time to grapple with who we think He is in our lives and to ask the hard questions. I thought it was wrong to ask God why this had happened to me but I needed to have a vulnerable conversation and ask the forbidden question why? God can take it. He wants us to have a real honest relationship with Him and talk through what we are feeling, and as a result He can be everything we need. He can be our friend, comforter, and counselor. 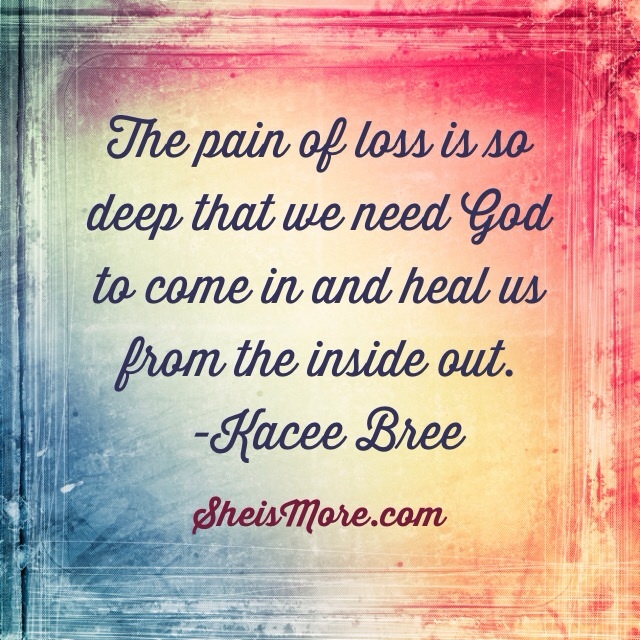 The pain of loss is so deep that we need God to come in and heal us from the inside out. No matter where you are in this journey, walk in hope. Sometimes you will run and sometimes you will feel like you cannot even take a step. Rely on God, think about the good and talk it out as a result you will make it to the other side of your grief emotionally whole. My hope for you is that you keep walking, hoping and dreaming for good things in your life. I believe the best is yet to come. If this message blessed you, you are a blessing by sharing with others! Beautiful story written by an even more beautiful woman…my sister. 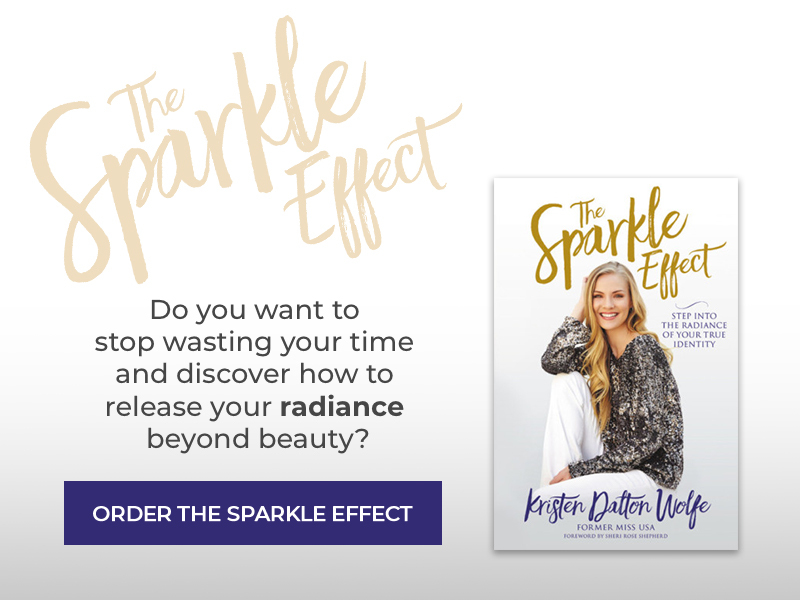 Thank you Kristen for allowing me to share my story. 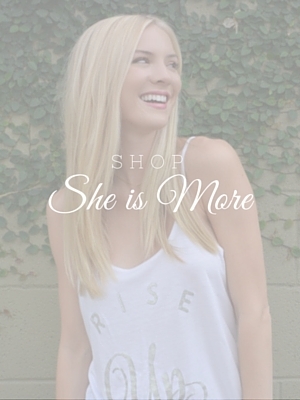 I love sheismore.com a great place to learn and grow.